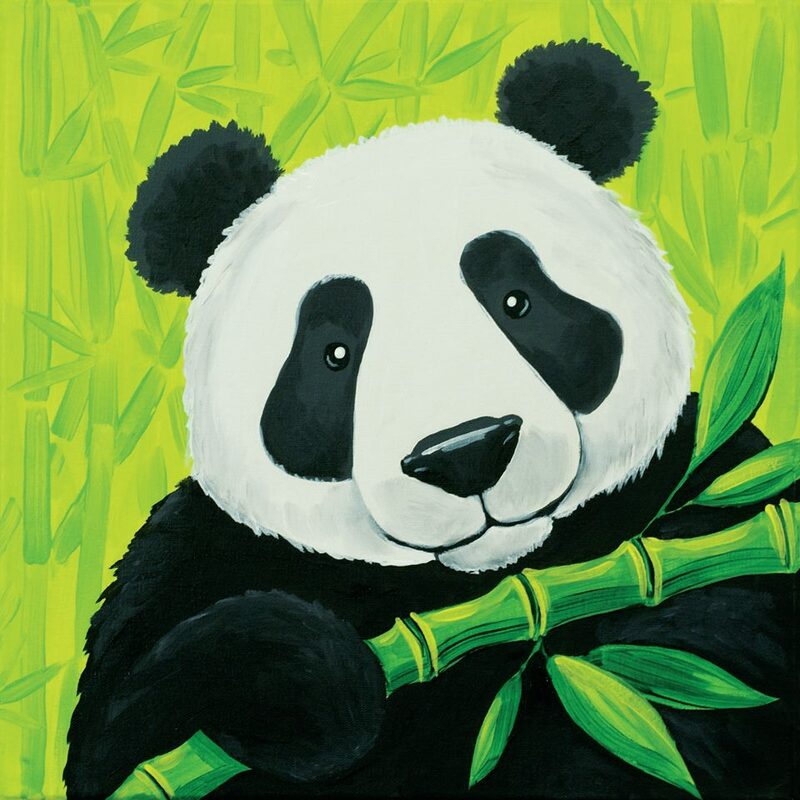 Family Canvas Painting – Panda Bear | Mix It Up! Creating family memories that last a lifetime is as easy as a blank canvas, a paintbrush and some paint to spread around! Join us for an evening of painting fun. Each artist will be guided through the process of creating an acrylic painting on a stretched canvas. Relax and enjoy the creative energy, learning how to mix colors and design a painting that is uniquely yours. Each night we will guide you through themed instruction and provide all the materials you will need to create a masterpiece. Beginners and experienced artists alike, will learn the fundamentals of painting. You and your loved ones will leave with a collection of unique and beautiful artwork. Feel free to bring family friendly snacks into the studio. No alcohol please. Please wear clothes you are comfortable painting in. We will provide the smocks and all the art supplies!